05.12.10 The new Create album 'We Live By The Machines' was released last month at Hampshire Jam 9, track details and artwork have been added to the music page. It can be purchased direct from Groove. 01.10.09 The new Create album 'Words Just Get In The Way' is now available to purchase direct from Steve Humphries. Details and Paypal links have been added to the music page. 08.07.09 The next Create album 'Words Just Get In The Way' will be released around September/October 2009. The new album will be self-released. The first 10 pre-orders will receive a bonus DVD which features The Obsidian Eye performed Live @ Awakenings 2008. To reserve a copy of the new album please send an email to humpsuk2001@yahoo.co.uk. Price will be £10 UK/12 Euro/$17 US including P+P. Artwork to be designed by Jez Creek. 29.05.09 A new Create album entitled 'Words Just Get In The Way' has been sent off to Groove for approval. There is no release date as yet. 27.04.09 The new Create album, 'In the blink of an eye', was released earlier this month, track details and artwork have been added to the music page and two reviews have been added to the reviews page. 09.12.08 Limited quantities of Kindred Spirits, Space Time Continuum and Lost on an Island of Adventure and are now available direct from Steve. Click on the Paypal links on the music page to purchase them. 09.12.08 Video of Steve's performance at Awakenings on November 22nd 2008 is now on Youtube, videos embedded below. Click on headings for direct links if they don't play. 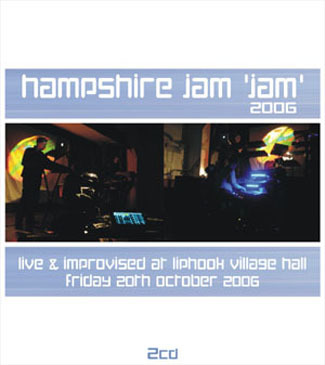 03.11.08 Steve will be appearing at the Hampshire Jam 'Jam' at the Millenium Hall in Liphook on Friday 14th November 2008 and Create will be playing live at Awakenings on Saturday 22nd November 2008, at Paget High School in Branston, Burton on Trent, along with Hashtronaut and Steve will also be appearing as part of Astrogator. No Inhibitions is a studio recording of a track i played at the Elektron gig June 2008. Recorded Nov 2007 - August 2008. Collision will be played live at the Awakenings gig in November! 17.08.08 Reviews of Lost on an Island of Adventure and Space Time Continuum by Dene Bebbington added to the Reviews page. 01.06.08 Press Information from Groove and review of Lost on an Island of Adventure by Artemi Pugachov added to the Reviews page. 01.06.08 Create was played on the Terry Hawke show on Saturday 17th May. 08.03.08 Artwork and track listing of the new Create album, 'Lost on an Island of Adventure' added to the music page. The music is inspired by the TV series 'Lost' and was written while Steve was off work with an injured lag. The album is dedicated to Steve's Grandad who passed away in November 2007 and the final track 'Heaven Waits (For Grandad) is a tribute written specially for him. The album is due to be released on April 13th 2008, at E-day. 28.10.07 New review of Space Time Continuum by Bert Strolenberg added to the Reviews page. 22.10.07 New review of Space Time Continuum by Dave Law of SMD added to the Reviews page. 04.10.07 New review of Space Time Continuum by Sylvain Lupari of Guts of Darkness added to the Reviews page. 18.08.07 Details of the new Create album, 'Space Time Continuum', have been added to the Music page. 18.08.07 A previously unreleased 18 minute Create track entitled 'Rohan's Journey To Belvedere' is to be included on Awakenings 2007 vol 2, along with 'The Road Without Cats Eyes' a collaboration track with Xan Alexander of the Omega Syndicate recorded in May 2006 at the Magnetron sessions. 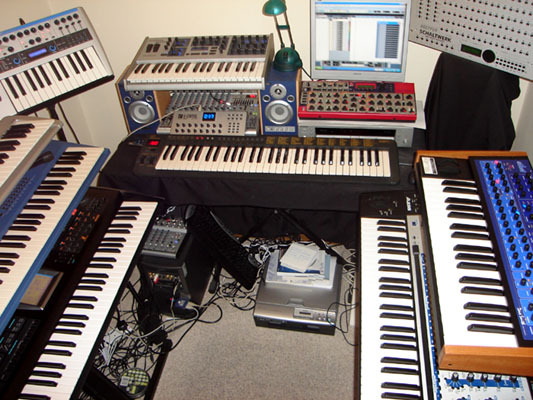 02.07.07 Create has submitted an exclusive Ambient/Spacey/Symphonic track for Analogy Volume 3 entitled 'Red Alert' recorded using the following analogue synths: Alesis Andromeda, Emu PX7 (Mellotron Strings), Korg Mono/Poly, Roland Juno 60, Roland JV1080 (Mellotron Choir) and Sequential Circuits Prophet 600. 20.06.07 The Limited Edition of Kindred Spirits has now sold out. A Standard Edition is now available. See the Music page for details and ordering information. 16.06.07 New review of Kindred Spirits by Jeff Misner added to the Reviews page. 02.04.07 New review of Kindred Spirits by Sylvain Lupari of Guts of Darkness added to the Reviews page. 17.03.07 The new Create album, Kindred Spirits was released today. See the Music page for details and ordering information. 15.01.07 New review of Biospherical Imagery by Sylvain Lupari of Guts of Darkness added to the Reviews page. 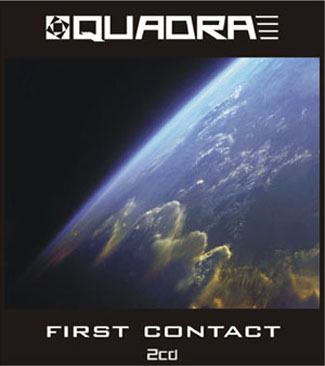 11.01.07 Create appears on two new albums: the debut 2CD Quadra album 'First Contact' and the 2CD record of the Hampshire Jam 'Jam' 2006. Both albums are available direct from AmbientLive. The Quadra album is available direct from the Quadra website. 22.12.06 New review of Biospherical Imagery from Matt Howarth of Sonic Curiosity added to the Reviews page. The theme of the album is that of an explorer discovering a lost world, Biospherical Imagery is about the journey to and landing on the lost world and the remaining tracks cover its exploration. Tracks 1, 3 and 5 are live studio versions of the tracks performed at the first Create gig at Peggars in Nottingham back in November of 2004. The album is due to go to Ron Boots at Groove for mastering shortly. The release date is as yet unknown. 01.01.06 Happy New year from Steve - Excellent news to start the year, 'From Earth To Mars' is one of Phil Derby's Best Electronic CDs of 2005 and Create is Best New Electronic Artist in the January issue of ElectroAmbient Space. 17.11.05 Create has submitted an exclusive track entitled 'Lost Dreams' for the Awakenings 2006 Vol 1 set due for release in 2006. 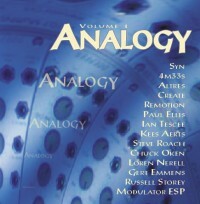 01.10.05 The Create track Analog Revival has been chosen for inclusion in the Groove sampler Analogy.